Who Pays for a Child’s Healthcare Costs After Divorce? When courts calculate how much child support a non-custodial parent should pay, it takes into consideration a number of factors, including both parties’ income and who will be responsible for providing healthcare insurance. If you have questions or concerns about who will pay for your own child’s medical expenses after your divorce is finalized, it is important to consult with an experienced child support attorney who can explain your options. 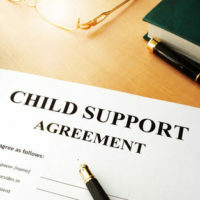 When courts determine that it would be in a child’s best interest to give the majority of parenting time to one parent, the other parent will usually be required to pay child support. When drafting these types of child support orders, courts almost always include a provision explaining that the non-custodial parent will also be required to pay for health insurance, but only when the cost and accessibility of the policy are reasonable. In most cases, courts presume that health insurance is reasonably priced if the cost of adding the policy doesn’t exceed five percent of the paying parent’s gross income. Similarly, health insurance will only be considered reasonably accessible if it can be used in the county where the child’s primary residence is located. An equal time sharing schedule is presumed to be in the best interests of most children. In these cases, the court will assign responsibility for the child’s insurance to the party with the higher income or it may require both parties to pay a percentage of the total amount. In the event that a child receives medical care and it is not covered by insurance, both parties will usually be asked to split the costs based on a formula that takes both parties’ net incomes into account. In other cases, a child support order might stipulate that the non-custodial parent is required to pay all of these extra expenses after the other parent has paid a set amount. Although Florida courts are permitted to order certain parties to pay for health insurance based on a specific formula, there are other options available to those who are going through a divorce. This is because all divorcing parties are allowed and even encouraged to come to out-of-court agreements concerning child support, time sharing, and visitation. As long as the resulting parenting plan is found to be in the best interests of the children involved, courts will usually approve and implement the agreement. This option allows parents to create an arrangement that best suits each party’s needs. While this could mean that one party is assigned responsibility for the entire amount of an insurance policy, it could also mean that both spouses agree to share the cost, or that one spouse will pay for insurance, while the other will cover the cost of extra medical expenses. Essentially, the type of arrangement that is best for a family will depend on the specific circumstances of each case. 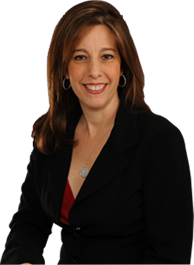 Determining who will pay child support and in what amount can be a difficult process, so if you have concerns about who will cover healthcare insurance for your child after your divorce is finalized, please contact Sandra Bonfiglio, P.A. at 954-945-7591 to speak with an experienced Fort Lauderdale child support attorney about your questions.